Welcome to Sneak Peek Sunday! This is a fun little blog hop type thing where you can check out authors' snippets of a published book or work in progress. It's a great way to find new authors and new stories. There's usually a little something for everyone. I'm glad to be back, and today I'm sharing a snippet from my upcoming release, The Melody In My Head. This is Love and Music in Texas, Book Two. Jameson and Melody's story. Today's snippet is a little bit of fun. Jameson and Lucas decide they're going to sneak in and try not to be seen by Melody, Avery, and Jameson's sister Blaine. The fun really begins when the conversation turns to Jameson and childhood moments. Well, I'd say that's what he gets for listening in! Gotta love payback! Here's that snippet. “There was time, I think we were ten.” Avery started. “ We wanted to go swimming. There was a storm coming, so we decided to do a 'go away' rain dance. Jameson grabbed some glow sticks and put them in a triangle and danced around them. He was doing some weird chant, but then the storm only got worse and rained all over us. Blaine and I had already ran to the porch, giving up, but not Jameson. Then when the lightning stuck, he bolted, slipped and fell face first in the mud. He looked like a swamp creature, and then ended up ripping his shorts at the seam. ” That got them all to giggle. Thanks, Avery. You had to join in the embarrassing childhood moments with Blaine? Traitor. Jameson knew exactly what day she was talking about. He'd gotten her good, and boy he had no idea what she had in store for him when she threatened payback. “I was so annoyed at him, I snuck into the boy's locker room when he was in the gym, stole his regular clothes and made sure to put a bright pink shirt and a pair of very flowery shorts in his locker. I found them in the lost and found. I didn't give him his regular clothes until the principal made me because his dress attire was distracting the classes. Man, he got so mad at me. Totally worth it though." “Sounds like you guys had a great time growing up.” Melody said. And there you have it! Today's sneak peek! 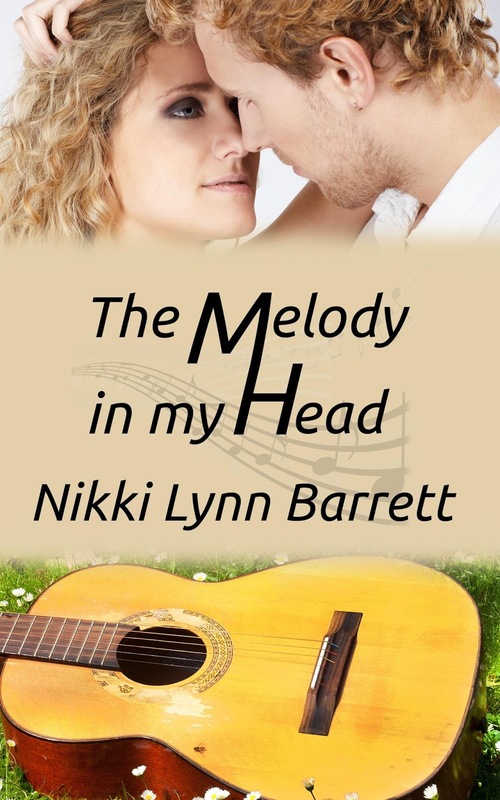 The Melody in my Head isn't out yet, but you can add it to your Goodreads list! Be sure to check out some of the other great participants in today's Sneak Peek Sunday Fun! You never know what you'll find! We're going do this a little different today....Monday we got a little off track. Below are the words already filled in. This time, you get to pick the number, as long as it's not already been picked. Keep an eye out on the comments to make sure we don't double up. Here's how your comment should look. If you've already played on Monday, you're welcome to add another word in!